Rene Lalique Worldwide: R. Lalique Global! Here’s What We’re Talking About: Record! Record! Record! 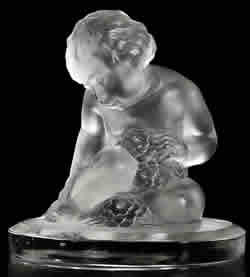 Today, December 1st, 2010, we set the record at RLalique.com for most auctions listed in the Worldwide R. Lalique Auctions Section of the website at one time, with 100 auctions listed coming up around the world that have R. Lalique in them! From Budapest to Boston, and from Melbourne to Manasquan (that’s in New Jersey:), great R. Lalique works coming up for auction such as those pictured here! Global warming has nothing on RLalique.com. At World Headquarters we are HOT! And, in the don’t break your elbow while patting yourself on the back department (oh yea, we’ve got a department for that too), even more impressive, those auctions are spread around 14 countries! That’s right 14, which is a new record for the number of countries listed at any one time. 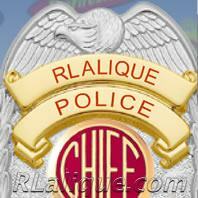 We also set a record in the R. Lalique Police Department this month with 50 active listings on the Police Report Page at one time! As our reach grows and the popularity of the site continues to grows, more and more information flows into World Headquarters and back out to benefit those of you that follow the site and are involved with the output of Rene Lalique. More bidders, more auction action for the works of the great Lalique, more exposure in the art world, more publicity, better prices: Everyone benefits! And think about joining the growing list of Collectors and Enthusiasts of the great Lalique that help keep us informed, emailing in auction information, information on fakes news, pricing and results, even condition information if you think it’s important. Pick any email address on the site if you think something will be helpful to the growing worldwide collector community and send it in. You’ll be helping a lot of R. Lalique enthusiasts by getting involved, and you’ll be helping yourself by contributing to the improvement of the collecting and enthusiasts’ field which you have in common with a lot of people you know, and lot more that you don’t. R. Lalique is setting records. So are we. Spread the word. What do RLalique.com and The 1957 Musical Play “The Music Man” have in common today? Well, we’ve set a record with 76 current Rene Lalique Auction Listings Worldwide today, November 19th, easily surpassing last year’s record of 68 auctions listed at any one time! Our current listings dropped off by several auctions that occurred yesterday, but today we added a record 14 upcoming Lalique auctions to the list! There are untold hundreds of great Rene Lalique Auction items to peruse, with auction listings from many continents and countries as far flung as China, Italy, Australia, Scotland, Germany, Switzerland, Belgium, Sweden, France and the U.S. Eerily, one of those auctions (Jacksons) is very close to the home town setting for the play, which as everyone knows (well, everyone where we live knows), is River City, Iowa. And how you might ask; how does this all relate to Meridith Wilson’s great musical play featuring an amazingly long lived and popular American song? 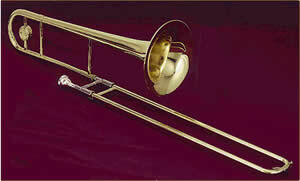 Well, check out the video below of the Finale from The Music Man and think about how we are trumpeting our own success! And on a more serious note (OK, not that serious but follow along anyway), those of you that know the story know that Professor Harold Hill, the Music Man, changed his world by bringing a band to River City of course :). That might tie in a bit as well! No, we are not starting a band. But nowhere, and at no time in the history of the planet could you find information in one place, or in any place, on 76 upcoming auctions featuring the works of the great Rene Lalique! That is of course, until today! And if you’re wondering, the great song in the video is how we plan to remember the new record when next year rolls around, unless of course we add a net of 6 more Rene Lalique auctions tomorrow, which would mean we’d have to find a song that has an 82 in it and which is performed by the brass section of a marching band! 🙂 Tough act to follow. If we could ever get up to 110 listings, then those of you that know the words to the music, know we can stick with the same song. For those of you that had this particular song and story omitted from your upbringing, here are the words to the song. Feel free to sing along in the privacy of your own home when no one else is listening. the cream of ev’ry famous band. there were horns of ev’ry shape and kind. 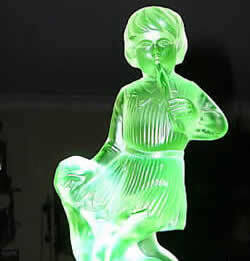 Rene Lalique Fakes: Antiques & Auction News Article Features RLalique.com As Its R Lalique Reference! The October 16th issue of the “Antiques & Auction News”, the antiques publication that bills itself as “The Most Widely Read Collector’s Newspaper in the East!” has an extensive article covering the highlights of what collectors should be aware of in the area of fake Lalique and other dodgy items passed off as RLalique. The article, titled “Fooled By Fakes: Buyer Beware! Rene Lalique Art Glass by Anita Stratos”, also includes a discussion on color changed radiated pieces, as well as advice on how to protect yourself by being well informed. 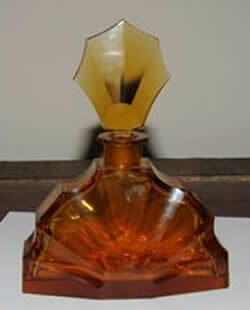 The main reference material for the article was the information found here at RLalique.com in our section on Fake Lalique items, as well as in phone conversations between the author and an expert here at RLalique.com World Headquarters! Seriously, when you want to talk Ghosts; who you gonna call? You call Ghostbusters! When you want to talk RLalique ………. We’ve posted the article in its entirety with the generous and kind permission of the author Anita Stratos, in our Rene Lalique Articles of Interest Section! In addition to this article, you’ll also find several other articles of interest in that section, including articles covering bid rigging at auctions and other illegal bid schemes, which were written by a lawyer knowledgeable in auction law. We noted for the fakes article, that the incidence of fake Lalique items is much less than in many other fields, but as you can see from our Fake Lalique Section, and also the RLalique Police Page, there are landmines out there to be avoided. Great news to have coverage of information from our site by a large and respected antiques publication. And also to have wider coverage of the kind of information that collectors should have to protect themselves against a mistaken purchase. One of the worst things for a collecting community is to have anyone, especially novice collectors or beginning collectors buy a fake or other problematic piece. 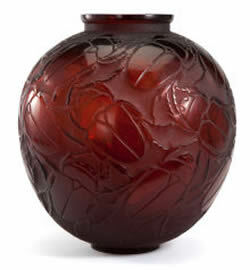 It’s in the interest of all R Lalique collectors to have widely available information in this area, and to have a large overall knowledge base of public information that purchasers can access to get educated. This article is another step in the right direction of increasing public awareness and education. Check it out. 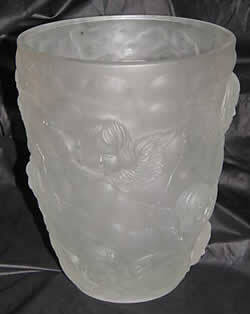 By the way, every item model pictured in this blog post has been represented or offered for sale as R Lalique. None are. Back where I come from………. ……………………..there are men who do nothing all day but good deeds. They are called phila…er — er — philanth-er — er, yes…er …..good-deed-doers! And their hearts are no bigger than yours. But! They have one thing you haven’t got! A Testimonial! We’ve added another great new section to the website this week, The RLalique Tailor Shop, a place where you can get information about common alterations of R Lalique items. We’ve started with two subsections of the shop. The first one discusses missing material, where broken R Lalique items are cut down or hemmed up or taken in, to eliminate obvious damage in an attempt to make them look better. The second subsection details the change from cendrier to seal, something we see quite often as a way to salvage a broken ashtray. As we explain on the main Tailor Shop page, it’s our current plan to stick to discussing items that can be easily described, shown in photos, that are reasonably common, and that result in a change in the shape of the original R Lalique item. We don’t have a home page box set-up for this section, but you can get to it from any navigation bar on the site, including the one on the right hand side of every Blog page. Suggestions for future topics you’d like to see covered in the Tailor Shop, additional photos of items that are already covered, and any comments or suggestions about our information are welcome and appreciated. Our R Lalique Worldwide Auction listings have set a new record this morning, with 64 different upcoming auctions currently listed containing hundreds and hundreds of great R Lalique items coming up for sale all over the globe. The 64 listings span the entire range of the works of the great Rene Lalique, from the opalescent Poissons Bowl coming up on December 4th (along with several items) in Saint-Dié-des-Vosges, France, to the incredible ‘Bouquet de Fleurs’ R Lalique Wood and Glass (and other elements too) Panel for the Compagnie Internationale des Wagons-Lits coming up for sale at Christies in New York City on December 16th. These auctions are taking place in Canada, Germany, Belgium, the US, France, Italy, the UK; too many places to list, all over the world. And we’ve just put up our first R Lalique Worldwide Auction Listing for 2009, a pair of R Lalique Faucon Car Mascots that have appeared in Johnson Creek, Wisconsin in the US (go find that one on a map :)! 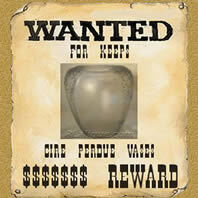 We hope the day will come when we’re able to report 100 R Lalique Worldwide Auction listings to you. But passing the 60 mark for the first time is a great milestone, and it reflects the huge amount of information that we have available flowing in here at World Headquarters which we can report to you. 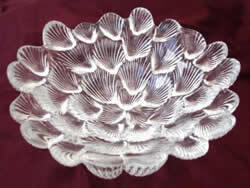 Please don’t forget when you contact the auction houses that are offering this wonderful R Lalique material, to let them know that you saw the R Lalique item here, at RLalique.com. It makes our job of getting information on upcoming items a whole lot easier when the auction houses know that their listings here are creating interest among potential bidders. Happy hunting! 1. To question the accuracy of any fact or statement on our website! You say we have something wrong, or even a little different shade of reality, let us know your facts! 2. To question the completeness of any fact of statement on our website! If you have information to add to what we’ve said, either that would create a different impression, a different reality than we may have, or just to make our information more complete, let us know your facts! Hopefully there won’t be too many corrections! But come what may, we welcome your input and information. A great day here at RLalique.com. Today we launch two new sections adding major new features for the entire RLalique community. First, the RLalique Police! The purpose of this section is to give users of our site a place to tell the community about suspicious RLalique items in online auctions, and to give everyone a chance to talk about the items, make comments and observations, and share their knowledge about the actual identity of the suspicious items. There are two parts to this new feature; the RLalique Police Blog Thread that is the place where you can leave a comment pointing to a suspicious listing, or comment on previous listings reported by other users. We will copy those listings to the new RLalique Police Section, which will simply have a list of suspicious RLalique items at auction reported by users in the RLalique Police Blog Thread. The point of the section is to sort out the actual suspicious listings from the blog comments for easy and fast reference by users concerned about particular items online that they might be considering. The RLalique Police Blog Thread is just below this announcement, and that thread is linked from the RLalique Police Section. This has been our most requested feature since the inception of RLalique.com and we have high hopes for users to have a chance to contribute to the greater pool of information for the entire RLalique community through the new RLalique Police Blog Thread and RLalique Police Section. The second new feature is the RLalique Wanted Section, where users can list specific RLalique items they are looking to add to their collections. This should provide a way for active collectors to get the word out about items they want to find, and it’s also a great way for collectors that have a matching piece, to have a chance to make a sale to someone they know is looking for the item they have, at a reasonable commission rate, and where both parties’ identify is kept confidential. A Win-Win-Win situation. Please take a minute to check out our new features. We hope you will participate in listing any RLalique items you are seriously looking for in the RLalique Wanted Section, and that you will take the time to point out suspicious RLalique online auction listings, and share whatever knowledge you have about these items as they appear. Finally, we’ve added another row of picture links near the bottom of our Home Page, to link these two new sections directly from the graphics area of the Home Page. And we’ve added these additional links to all of the navigation bars throughout RLalique.com. We pride ourselves on the ease of use of RLalique.com, and we hope you find these additions and improvements to your liking. As we might have mentioned before, we know your time is valuable, and we appreciate the time you spend here with us at RLalique.com. We are working hard to ensure that your time is well spent and we appreciate any and every contribution you are willing to make to help improve the overall RLalique community. This is our running thread on Suspicious RLalique Online Auctions brought to our attention by readers of RLalique.com. This is THE PLACE to post suspicious online listings by leaving a comment to this post. This thread is for items that are NOT RLalique, and we include in this thread online RLalique auctions where there is no actual RLalique item (the stolen photo auctions). We started this thread in response to reader requests. 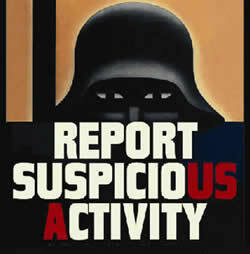 To submit a suspicious item, or comment about an item already listed in this thread or on the Suspicious RLalique Online Auction Page, leave your comment here. We’ll move new items on a regular basis from here to that web page. We welcome comments on items that have already been posted here, concerning all the various subjects surrounding a fake listing; from the actual identify of the item, to any patterns of deception or things that can be learned from a specific listing. If an item is a real RLalique item, and you have concerns about condition or quality, this is not the place to comment. For help with real RLalique items, please check out our RLalique Consulting Services Section. Two final notes: First, you have to register to comment, by clicking the register link on the sidebar of any blog page. Your name and email address (the two main things to register) do not appear in your comments when they are published. By taking the time to identify fake RLalique appearing in online auctions, and sharing your knowledge with the greater RLalique community, you help to strengthen the entire RLalique collecting field, and you may save a fellow enthusiast from a big headache. Finally, one common sense observation from our standpoint. Not all sellers of a suspicious item are bad people. For example, someone buys an item at an estate sale or antique shop, thinking it’s a great RLalique bargain, then goes home and lists it in an online auction, not knowing the facts. That’s a different story than the seller that adds an RLalique signature to a non RLalique piece to try and increase the value, or that knowingly passes along a fake. It’s often hard or impossible to know or guess at the truth of each circumstance. What matters most is the fact of the item; whether it’s RLalique or not. We look forward to your contributions. Check out our New Arrivals Section in the RLalique Library. We’ve added a few great items, including three wonderful Japanese Exhibition Catalogues and a pre-war sales brochure by Nil Melior. Nil Melior sold high end auto accessories and had a retail shop in New York City at the Waldorf-Astoria at Park and Lex. This 24 page brochure shows 8 different RLalique mascots including Victoire, and has the prices that were being charged at the time for each item. 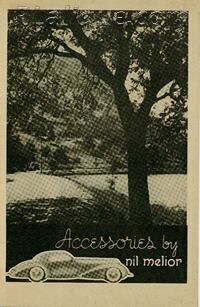 We have another very similar but not identical pre-war Nil Melior brochure also listed for sale in the Library. Period material from RLalique retailers is extremely rare, especially priced brochures. Who would have thought you could go to the Waldorf to buy RLalique mascots? We are moving to a new and better looking RLalique at Auction Section, that allows us to feature some items at the top, and also gives us the option to put a picture next to the description of the upcoming RLalique items. The descriptions of each upcoming auction contains identical information to the old layout, it’s just not segregated into a bunch of little cells. This new layout is a work in progress in that we have not added any auction photos next to the listings as of this morning. 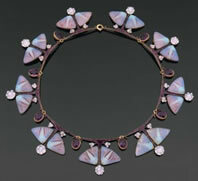 The revision is the result of several user requests to make the upcoming auction information less busy looking, and also to make the links at the top which take you to a featured upcoming item, or to the Lalique Auctions Past Page, or whatever else we might want to point out to you, to be more recognizable. Hopefully you will like the changes, but either way, if you have a strong opinion, please let us know. Both the text and the photos of the featured items at the top are clickable links that will take you to the relevant item. The one drawback to the new layout is that it takes a little longer to scroll thru the auctions, as the auction info is in bigger cells so that photos can be added when/if desired. Also, we reprogrammed the Lalique Auctions Past Page of sold auction items, adding customized searches, small views of the most recent auctions past, and a link to the entire history we have of past auctions in date order. Again, this was a user request. RLalique.com is the best source of information on RLalique anywhere in the world, and we are working hard to make it even better. There will be further enhancements over the next couple of months, including up to two new sections to further guide RLalique collectors and enthusiasts and to bring you even more helpful and unique information about our mutual passion for the works of Rene Lalique. We know your time is valuable, and we want to make sure that the time you spend with us is well spent. Thanks to all of you for your support, and we hope to see you hanging around the Blog from time to time. In response to a user suggestion we added a new feature to the For Sale Section today, that allows you to click on any of the thumbnails of the For Sale items, and a new page will open with a large picture of the item. The large photos are high quality photos showing the item in great detail. These larger new photos make it a lot easier to judge the quality of the item, and are much more representative of the piece than the small thumbnails. I can’t identify the user that made the suggestion, but I will say that he lives on the east coast of the U.S., and like me, he definitely married up! Way up! Please keep the comments and suggestions coming. A collector asked me today how the first week of RLalique.com has gone. I told him it’s both hectic and unbelievably great at the same time. We’ve come a long way in a short time, and I’ve been so much busier than I’m used to, I would have guessed we were only up for a few days. Here’s a brief review. We’ve put the site up without fanfare or announcements, and just a few emails to old friends and fellow RLalique collectors. Yet things have gone better than we could ever have expected. First, there have been no serious programming issues with the site. 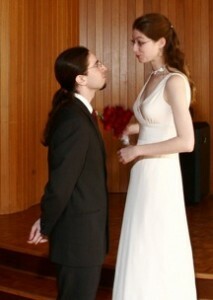 Considering this is the first site we ever developed, that was a bit of a concern as you might imagine. 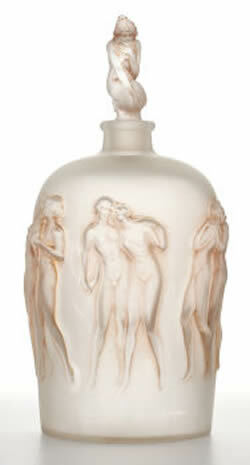 Also, the For Sale Section went great guns the first week, with 16 sales of wonderful Rene Lalique items. We would have thought it would be months before we got to that kind of number. As you might have noticed, the SOLD items were clogging up the For Sale Section, so we made a separate page for the SOLD items and moved them off the For Sale page onto their own “Missed Opportunities” page. Also, the first Library sale was made, and as a result, I got to send my first email from the address Info@rlalique.com. And, we have gotten our RLalique at Auction section going with a good number of upcoming item reports, in spite of the fact that this is the slowest time of year for RLalique to be appearing at auctions. Things should pick up after Labor Day in the US, as auction houses launch their Fall schedules with mid and late September sales, and in France as August turns to September, vacations end, and business there picks up. We’re getting a lot of visitors, emails, and traffic, and I hope that as word spreads, the number of visitors will continue to increase over the coming months. We have gotten great input concerning the site, and have already implemented many suggestions from our fellow RLalique enthusiasts concerning features or bugs. If you didn’t notice, one suggestion we put into place was to link the header photo of the great Wasps Cire Perdue Vase to the Home Page as a quick and large link to get back to the Home Page from any other page on the site. 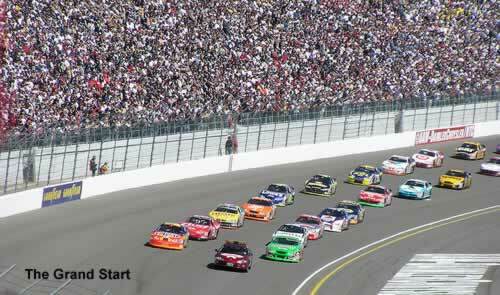 We also linked the entire header of every Blog page to the Home Page as well. Hopefully once the initial burst of activity associated with a new website dissipates, you’ll see a few new features added to the site, and we’ll report on them from time to time here in the Blog to draw your attention to them. If you have any comments, suggestions for improvements, or bug reports, please let us know. We take your input seriously, since our site is devoted to you, the RLalique enthusiast. We know your time is valuable, and we are working hard to make sure that the time you put aside to spend with us is time well spent.